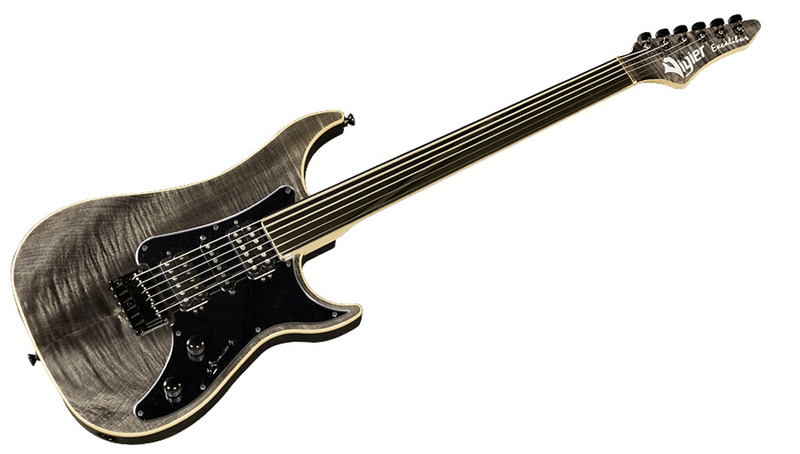 Excalibur Surfreter Special, STC-Shaped Guitar from Vigier in the Excalibur series. 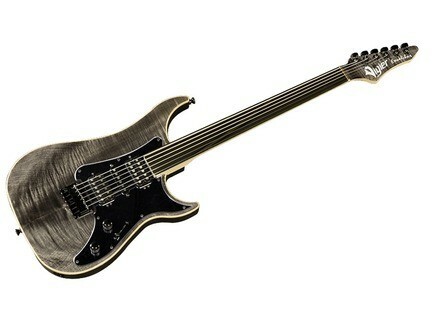 Vigier introduced at NAMM 2012 the second generation of its Excalibur Surfreter fretless guitars. The "Delta" name has been replaced by "Imetal". The "I" doesn't stand for iThis or iThat like a certain popular brand these days, but is used for the new metal alloy used by the French manufacturer for the fretboard. The fretboards of the first Excalibur Surfreter models were Delta alloy, and this new version is designed to get more sustain and better aging, according to Vigier. The specs are not yet available, but you'll find more details soon on www.vigier.fr. [NAMM] Gibson Shred Les Paul Studio Gibson introduced at NAMM 2012 the Shred Les Paul Studio, ua Floyd Rose equipped guitar. [NAMM] Carvin V3M Series 212S Designed as a slanted extension cabinet for the V3M Micro Head, the 212S comes with two GT12 12 inch speakers. [NAMM] Gibson SG Junior '60s At NAMM, Gibson showed its new SG Junior '60s, a model coming in black and Heritage Cherry finishes.